The Capitol Symphonic Youth Orchestras (TCSYO) represents all that is possible when we believe, dream and give the gift of music. 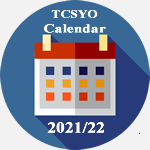 More importantly, TCSYO is proof of what is possible when we all work as a team. TCSYO is a true youth orchestra, not a college or post-college age group. It includes students ranging in age from 7 to 18, from both public and private schools. The diversity of students is a strong reflection of the contemporary area we live in. Our young musicians all have in common a love for music and a willingness to spend their Monday or Tuesday evenings rehearsing and playing together. These students make important friendships and discover a passion for music that continues whether or not they pursue an instrumental career. TCSYO provides a creative environment where young musicians from the Greater Washington DC area come together to rehearse and perform symphonic music lead by professional musicians/conductors. By providing an orchestral experience available to all students, the vision of TCSYO is to become a musical voice that embraces the entire Washington DC, Virginia and Maryland communities. TCSYO Symphonic Orchestra is the premier orchestra of The Capitol Symphonic Youth Orchestras. Membership is reserved for outstanding players (up to age 18) who demonstrate exceptional musicianship, have attained advanced techniques on their instrument, and are capable of the discipline necessary to perform in a pre-professional full orchestral training experience. (Strings, Winds, Brass, Percussion and Harp). Past and present repertoire is available for review HERE. TCSYO separates themselves from other Youth Orchestras in the Washington D.C. area through a Unique Rehearsal Configuration. Members of the Symphonic Orchestra are chosen through competitive auditions held each spring. The Symphonic Orchestra meets every Monday evenings at Lanier Middle School, 7:00-9:30 p.m. 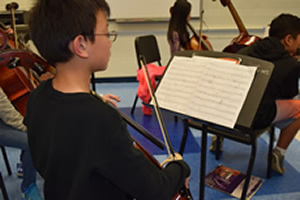 The Chamber Orchestra is The Capitol Symphonic Youth Orchestras (TCSYO) premier strings ensemble, and the most sought after musical destinations for aspiring young string students in the Greater Washington D.C. area. TCSYO Chamber Orchestra is open to students ranging in age from 12 to 15 from both public and private schools who have had at least three years of private instruction on their instrument. Artistic Music Director, Dr. Cheri Collins teaches a fun and enriching curriculum for string orchestra (Violin, Viola, Cello, Double Bass and Harp). Past and present repertoire is available for review HERE. The Chamber Orchestra meets every Tuesday evening at Lanier Middle School, 7:00-9:00 p.m.
TCSYO’s PRELUDE ORCHESTRA provide elementary and middle school string students with their first exposure to string orchestra training. Students must read music and have at least one year of private lessons on their instrument. TCSYO Percussion Ensemble season includes weekly rehearsals, sectionals and performances at every concert. The ensemble is directed by Dr. David Wolf, a percussion educator and performer in the Northern Virginia/Washington D.C. Metro area. Along with his position as Director of Percussion for TCSYO, he serves as the Percussion Director James Madison High School and McLean High School where he teaches the Percussion Class, directs the Percussion Ensemble, and oversees all percussion activities for the Marching and Concert Ensembles. He also serves as a Percussion Specialist at Longfellow Middle School and Thoreau Middle School. Under his direction his percussion ensembles have performed at the 2011 and 2015 Music For All National Percussion Festivals, the 2015 VA/DC Percussive Arts Society Day of Percussion, and at the 2016 Ohio State High School Percussion Festival. Dr. Wolf also maintains a vibrant private studio and is an Adjunct Professor of Music at the Loudoun Campus of Northern Virginia Community College. 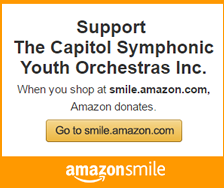 The Capitol Symphonic Youth Orchestras is an independent, non-profit 501(c)(3) corporation, and donations made to the orchestra are deductible as provided by the US Tax Code.